There are so many misunderstanding about dead people. People who claim to be Muslims, but possess materialistic beliefs think that death is end of life and there is nothing after death until resurrection time (Judgement day), even though this jahils (ignorant) claim they belief in life in the grave! Some Jahils say, mourning for the dead for 3 days 40 days etc are Bidha! Only for Women it is forbidden to mourn for more than three days, except for her husband! Then whom Jahil Shayateen trying to fool?, not us, but they fool themselves with their counterfeit Islam! Quran 2:154 And say not of those who are killed in the Way of Allah, “They are dead.” Nay, they are living, but you perceive (it) not. 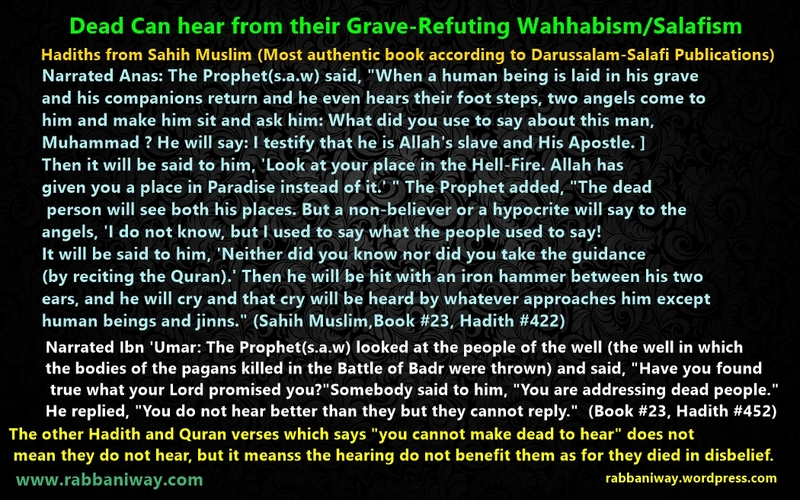 Wahhabis claim they perceive Allah directly, but they are not perceiving the living ones in the grave! 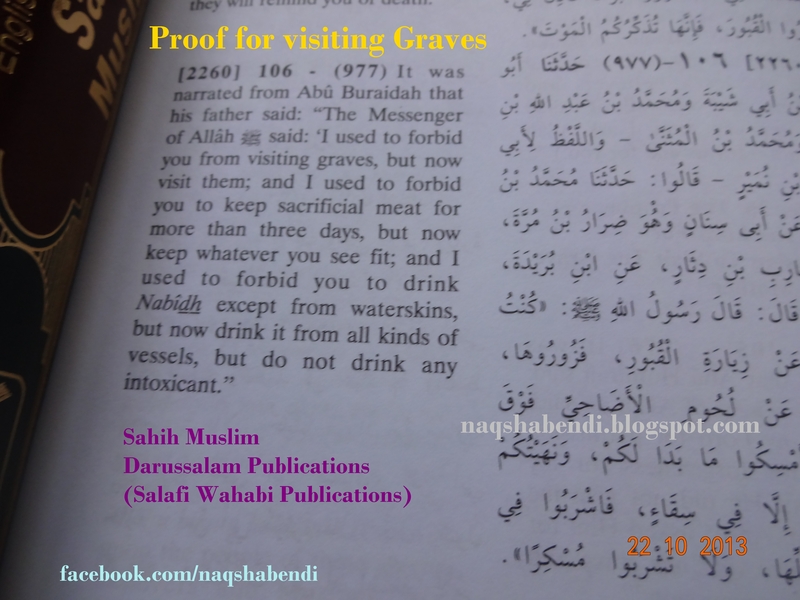 According to Hadiths and Quran The Prophets and Martyrs being alive in the grave. Sayyeda Ayesha Siddiqua (ra).. She says .. SO ARE THE ALL DEAD EQUAL ???? The salam can not be said to dead people. Its only said to the one who can listens it. Neither the Hijaab can be made from dead people because Hijaab is only essential for a Na-Mehram who can see a Muslim Lady. Above practice of Umm-ul-momineen Ayesha Siddiqua (ra) expresses her views and faith that Umar was not dead like others rather he was able to see and listen even in grave. So if this is the rank of Martyrs what would be the Ranks of most beloved Prophets and Awliyas in ALLAH’s sight!!! So dont please your ego by repeating the teachings which none of your ansecrtos never ever say. Wake up!!! 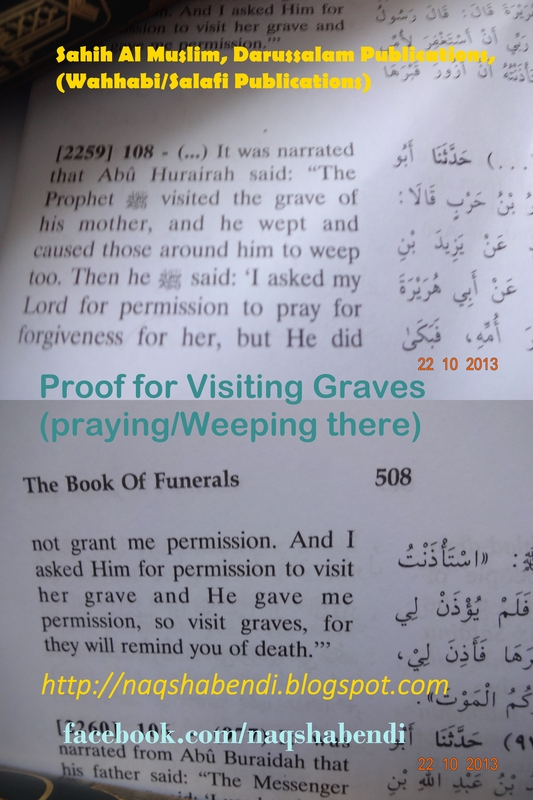 Praying near graveWhat does Islam say about dead?